You create dependencies between different projects by adding those projects to a template job plan. Each Project Job entry (blue box) selects a Project together with the target to deploy to and the version of the model and target configuration. You can combine any number of projects, targets and versions into runnable job plans. In the screenshot opposite, we can see the dependencies between three different projects is set in the development environment (the LATEST version of each project in this case), and this is then propagated to test and production. The version cannot be changed between project targets for a particular project, and cannot be changed during the plan execution. 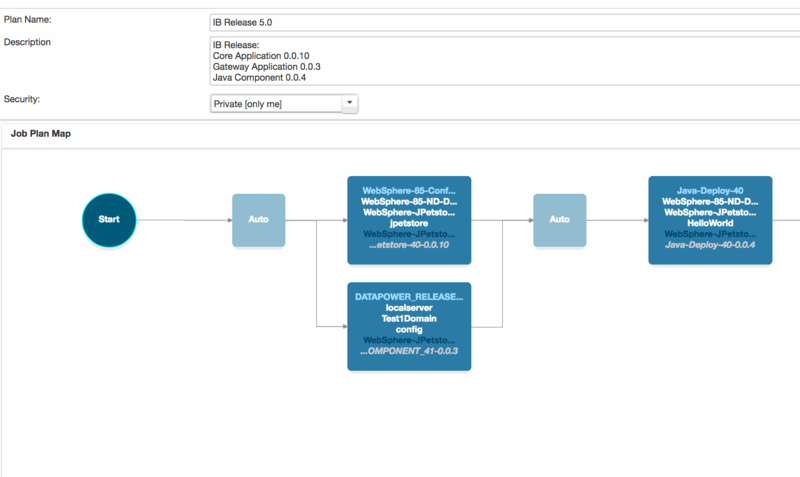 You can identify composite release dependencies on the Operations view ‘Version Dependency’ tab. 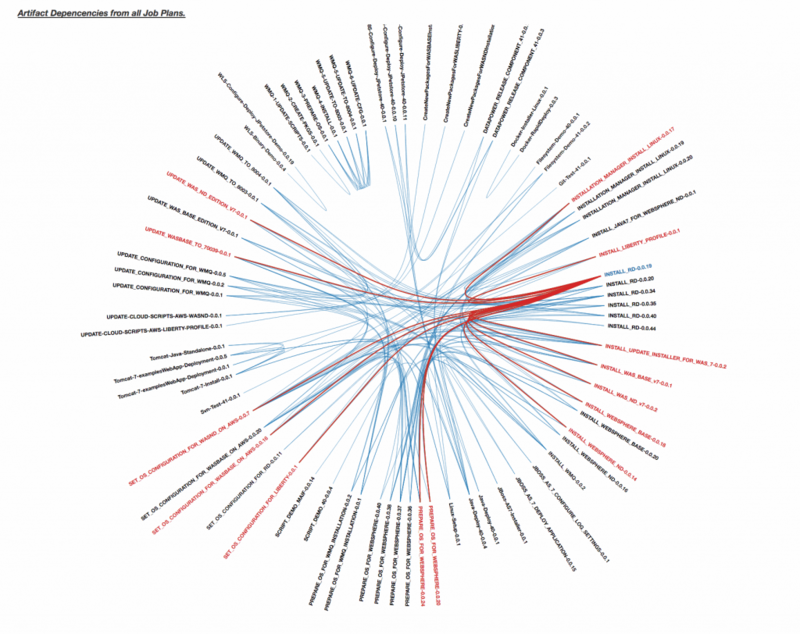 This graphic shows all dependencies between component versions for all currently configured job plan versions. In the screenshot opposite, we can see the dependencies between composite versions in job plans highlighted when the user hovers over a particular version. You can copy the template job plan to multiple versions, each of which can have different project versions from one another. In the screenshot opposite, we can see two Job Plans for the IB Release, 4.0 and 5.0. Each have different versions of the underlying projects.